Okay. iPhone 3 then 3GS, now 4? Honestly what is Steve Jobs trying to do? I mean, already years ahead of his time he created a the iPhone 3gs and now 4? What do you think are the biggest drawbacks of the new iPhone? Tell us in the comments section below. When the iPhone 3GS hit the stores, people went crazy. It was faster, had a longer battery life and had quite the list of added features. The Apple iPhone 4 is no different. With four times the pixel count of previous iPhone models, dual cameras and video features that are leaps and bounds not only ahead of previous iPhone models but smartphones in general, the iPhone 4 is easily the best of the best video calling phones on the market. Okay lets cut the chace and move on to what we all want to know about the iPhone 4. The SPECS! A4 chip: Not much to say here. Just a work of excellence. The camera shows a unique aspect of photography with the auto focus, led flash, and topping all that, the face detection. Record a masterpiece with the 1080p 30fps, and led light. Display has a all new Retina display with as usual multi display. If you’re one of those wannabe hackers and people that spend heaps of time on the go and want to feel connected, this is for you. If you create ftp servers around the house, want to access it? Use the iPhone. Facetime with the kids back home. Never miss a moment from your first childs graduation. A look at the apps. Speechless. The app store is a one of a kind, nothing can come in its way. The way it’s structured and simplified into a everyday usage panel is outstanding. You can literally find EVERYTHING on it. From those old jokes in the 80’s to a gym log book. Best of all, ITS CHEAP! I dont know what else to say about it. Its a piece of art, streamlined couldnt get better than this. I’d think of doing a comparison post between the ios and android OR htc and iPhone. So head down to your nearest Apple products retailer and get one ’cause i literally walked right up the first day it came out and bough it and enjoying EVERY bit of it. Once again, its brilliance perfected. Just took us to a whole new level. 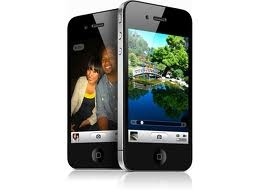 What do you think are the biggest drawbacks or of the iPhone 4? Tell us in the comments section below. This entry was posted in Cell Phones and tagged 3gs, apple, iphone, iPhone 4, review, smartphone review, specs, stores by eighty9tech. Bookmark the permalink. Could you review for HTC? Yeah heaps more. He built his empire and then lived it. The biggest drawback, is that because the glass in heat sensitive, it makes it weaker and much more susceptible to cracks. But i guess thats a more physical feature, and partially the owners fault. AND that the iphone doesn’t support Flash Player, i meant there goes all those video that you COULD have watched! It does a big number on youtube too, half the videos that are viewable on the computer aren’t compatible with the iphone, again because of no Flash Player. Other than that, the iphone is beautiful, its extraordinary and it got me a boyfriend. a boyfriend huh? Oh wait, its a blog. Talk formally. Well i must say that those are some reasonable exceptions and risks hat Apple has taken to bring iPhone to the top. I’ve heard 50 votes for the iPhone and 50 for a Blackberry. An this is from Mac users.